Hello online fanatics! Today I am proud to present you a special guest! He is none other than Chris Lee from RankXL.com! 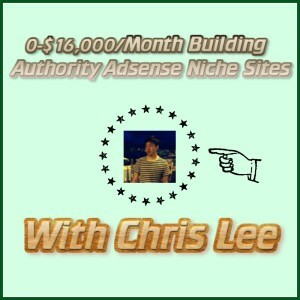 Chris uses the Authority Site/Blog business model to generate passive income from Adsense. Q1) Hi Chris, thanks for taking the time to do an interview. Why don’t you introduce yourself to the audience and share a bit about yourself? Hi everyone. My name’s Chris Lee and I run the blog over at RankXL.com. Unlike most bloggers out there though, my main source of income isn’t the blog, but my niche sites. I’ve been working full-time online with my Adsense niche sites since 2013. RankXL was a blog I started just 6 months ago as a kind of personal diary. I just wanted to put something out there that helped me stay accountable for reaching my goal of my first $10,000 month with Adsense. I’m happy to say that I reached that goal and am set to double that by the end of the year. Q2) Tell us more about your business model. A lot of people are confused about the term “Adsense Niche Sites”. How does it work? Adsense is simply a monetization strategy. The core strategy of everything lies in building a high-traffic website, mainly by implementing strong SEO strategies and ranking for big keywords and growing traffic. To put it in the simplest terms, the model is simply building a website, driving a lot of traffic to it, and Adsense is used to monetize that traffic. Q3) What made you choose Adsense as your monetization method for your sites? There are also other methods such as affiliate/informational products, E-book publishing and membership sites just to name a few. Well the first success I ever had was with Adsense. I made my first $100 online with it. Then, like everyone says to… I chased after bigger rewards like higher ticket affiliate offers and CPA offers. I dabbled around in so many things until finally realizing I should just stick with what I’m good at, and what I know most about: SEO and growing niche sites. The thing I love about Adsense is that it’s so passive. It gives you that extra level of freedom in addition to the freedom that working online already provides. There are no deadlines, no meetings, no customer support I need to deal with. It’s just there in the background making money. I frequently take a few weeks off from work, and income will remain the same or even increase. That’s what I love about it the most. Q4) What were some lessons you learned going from $0-$3000/month, and then to $16,000/month? I believe that anybody can read a few articles, join a few forums and get to around $500/month with Adsense and niche sites. But getting to $3000/month is a whole different story. It wasn’t until I did a complete overhaul of my entire niche site strategy that I broke my first $100/day. The thing is building a site that makes $100-$500/month and building a site that makes $5000/month is a completely different thing. It requires a whole different structure. You can’t be thinking micro-site, you can’t build your site off of long-tail keywords, and you need to build authority. It wasn’t until I shifted everything towards the authority model that I was able to cross 5 figures. How much weight Google gives to big brands and trusted authorities is crazy these days. However, it’s also a good change because it’s made the search results much higher quality. The best thing to do today is to build authority to your own site, and then take advantage of that. Once you do, you can start ranking for nearly any keyword really quickly, and often without even needing a single backlink. 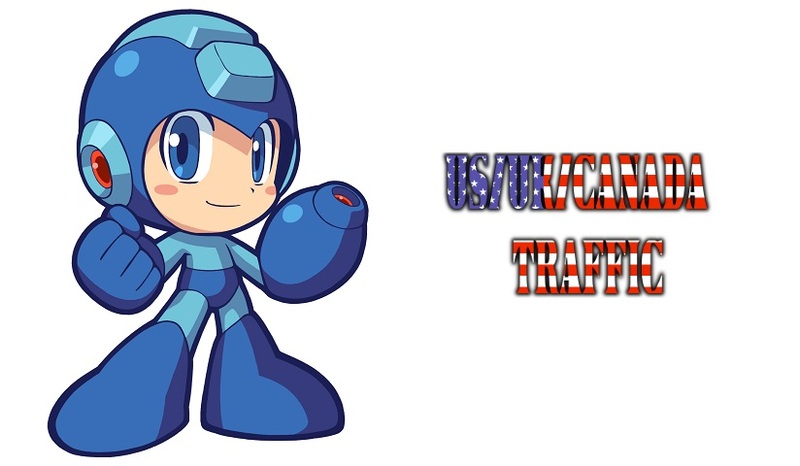 Q5) I noticed you used more unique strategies (no spammy shenanigans) when it comes to link building. Care to share some secret sauce link building strategies that worked out so well for you? Sure thing. You have to understand the power of a single link. One of my niche sites just crossed 100,000 visitors per month from a few big keywords. I only have 16 links to it. It’s quality over quantity. And that means spending the time to do outreach, and networking with other webmasters to get those links is completely worth the time and effort. Honestly, it doesn’t matter. It makes no difference. It’s not going to help your SEO, it’s not going to hurt it, and you shouldn’t be spending your time on things like that. Focus on outreach, get real links from real websites. A good rule of thumb is, the more difficult it is to get the link, the more powerful it’s usually going to be. Q6) Where did you learn your keyword research methods? Did you develop it yourself overtime? Before getting full-time into my niche sites I used to work at an SEO agency. Keyword research is huge when you’re working on big client sites. I learned most of the strategies there. Q7) People are concerned about the inconsistent earnings of Adsense. How much does it fluctuate for you on a month to month basis? I think that’s a pretty big misconception. It’s not as inconsistent as you might think. There are some swings from month to month, but it’s nothing drastic. It’s not like you’ll make $10,000 this month then make $3,000 the next month with the same amount of traffic. I think a 5-10% swing every month is a good way of looking at it. Q8) Do you write all the content on your sites or do you outsource them? I still write all my content for my biggest posts targeting big keywords with high competition. I put a lot of work into making sure these posts are the best compared to what’s already ranking. But for smaller articles I outsource all of that. Q9) What are some useful tools that you use to help automate some of the process of this business model? For automation, I hired writers on iWriter and Elance. Once I started outsourcing article writing, it opened up a lot of free time for me to work on the bigger parts of the business. I haven’t outsourced much else. Outsourcing is something I need to start working on. I still have a lot of fun working on my niche sites so I don’t want to be completely hands off. Q10) Is there anyone that influenced or inspired you to pursue this business model? Many people love the passive income, but not many are willing to work for it. Yeah, what inspired me to get my first niche site up was Pat Flynn’s first niche site duel series. That’s when I put up my first niche site and it’s still up and making money to this day. Chasing a passive income is great, but I think it’s better to focus on money and growth. Adsense is one of the most passive models out there. But I would hate to just sit there and never work on them anymore. If a site can make $500/month, it can easily be grown to $5000/month. I would rather work on growth, than let them sit and be satisfied with the smaller sum. Q11) Have you considered selling some of your sites on blogs like Empire Flippers? Over the past few months, I’ve sold off a bunch of my sites on Flippa. One of my websites is really growing fast this year and I wanted to sell off my smaller earners and focus full-time on growing that site out into a big company. I haven’t used Empire Flippers yet, but I’ve heard really good things about them. For my bigger sites, I’m going to try them out for sure. Q12) What are some advice you would give to newbies that are interested in starting an Adsense site? The biggest piece of advice I can give you is to first change your whole mindset about Adsense and niche sites. For the past few years, Adsense and niche sites were always considered as this get-rich-quick kind of tactic where you can throw up dozens of sites and make some fast money. The problem with that method is that those strategies don’t work anymore. Google is completely different, yet I still see the same strategies being discussed daily on forums. Instead, approach your next site as a real business. It’s easier today than it ever was to grow a site to $100/day and to over 5-figures per month. 5-figures per month is a real business. I don’t care which part of the world you live in, that’s a lucrative income for anybody especially when the Adsense model is so passive. Don’t look for shortcuts and build something high quality. Don’t be afraid to target big keywords with high search volumes. If you put in the time and effort necessary, I believe anybody can build a niche site to over 5-figures per month. It’s not rocket science, and it’s not like you need to build the next Facebook. It’s as simple as it gets when it comes to internet marketing. I want to thank Chris for taking his time to answer these questions. For those that are interested in building a long term authority niche site, Chris does it in detail here. Update: I did a review of the course and also my results after applying his methods which you can check it out here. Wow amazing! As someone with a blog that is getting close to 100,000 page views, I am very impressed that you can make so much from AdSense. I am lucky to make AUD$10 a day from it – peanuts! Thanks Matthew! Would love to get to his level soon! We can all gain some inspiration from this to work harder and smarter! really interesting and inspirational story. I started using LTP for searching profitable long-tail keywords. You guys really touched a lot of useful things here and its so awesome. I’ve been following Chris for awhile now and have learnt a lot of good stuffs from him. I strongly believe that if one can diligently follow his tips and formula for creating niche sites, he will inevitably be successful. Thanks a lot for sharing mate. Thanks for stopping by. Much appreciated! Great post Kenny. Nice and simple. What niche do you find Adsense has the highest payouts in? Any niche that has many paying ads visible on the results page when you type in google search. I don’t know exactly which ones have the highest payout, but I will tell you for sure anime and video games have one of the lowest CPC from adsense. Wow, amazing to see Chris herein. This guy really motivated me those days. I love his way of making money – he never fear. Thats generating $16,000 a month from google adsense is great.. But I have Question regarding Keyword Research and Link Building. What things you keep in mind when you are researching keywords and What Link Building Strategy you implement on Low to High Competition Keywords? Well, one of the best interview article I have ever read. It is really hard to achieve such an awesome passive income. I am following such leaders and bloggers who motivate me a lot. Great stuff! Keep it up!